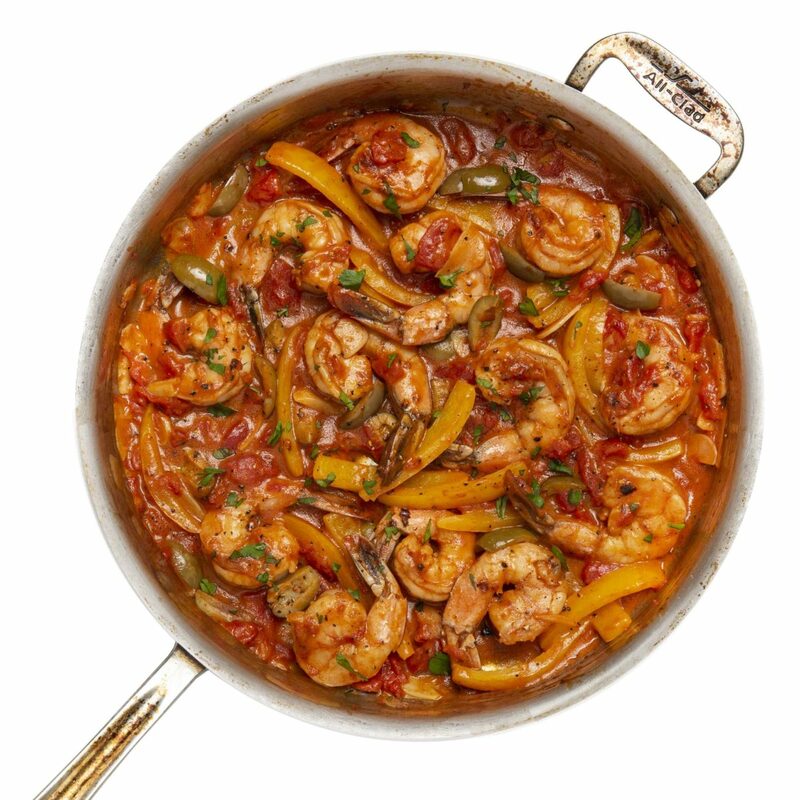 You’ll get a taste of Spain with this easy gluten free shrimp dish with a tangy smoked-paprika tomato-garlic sauce. This light yet hearty blend of humble ingredients with sun-kissed Spanish flavors is easily whipped up anytime. Make it a well-rounded meal by serving with steamed brown rice, a simple salad, and a nice Spanish red wine. In a medium bowl, combine the gluten-free flour, smoked paprika, ¾ teaspoon salt, and ¼ teaspoon pepper. Mix to combine. Pat the shrimp dry with paper towels, then add them to the bowl and toss to evenly coat the shrimp. In a large skillet, heat the olive oil over medium-high heat until shimmering Add the peppers and garlic slices and cook stirring occasionally, until peppers soften a bit and the garlic is just starting to brown, 3 to 4 minutes. Add the shrimp. Cook for 2 minutes, stirring occasionally, then add the diced tomatoes and their juices, ¼ cup water, and the lemon juice. Stir in the butter and cook, stirring occasionally, until shrimp turns bright orange and is cooked through and the sauce thickens, 5 to 6 minutes. If the sauce becomes too thick, add a few tablespoons water. Season to taste with salt and pepper. Stir in the parsley. Serve immediately.